makes a good long line. 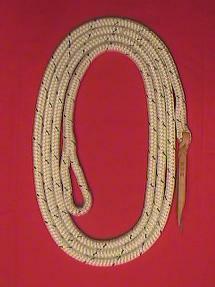 ROPE HALTER - 5/16 double braid Dacron/poly blend yacht rope. sized to your horse. 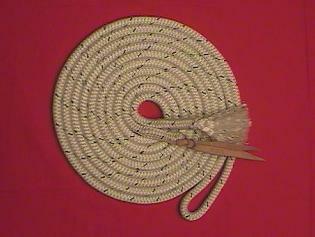 This picture shows how to correctly tie a rope halter. 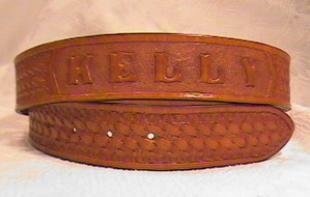 BELT - custom hand tooled leather belt. tack, grooming products, breeches, boots, helmets, health supplies, stable tools, etc. We have started shopping here ourselves and have found reasonable quality for a reasonable price. They claim to have over 10,000 products available on-line.